When everything is working properly, you forget our garage door is even there. You push a button to open it and back the car out, then push the same button to close it without a trace of a second thought. You take it for granted and just assume it will always work. When something goes wrong, you’re often completely unprepared. You have no idea if the problem is the garage door or the opener. You also may have no idea how much new residential garage door openers cost these days. But, you assume it’s cheaper to fix the existing one. To help you figure out what you’re dealing with, here are some of the most common issues that you will face. If you’re noticing the door vibrating at all, don’t leave this issue unattended for very long. This could be potentially dangerous. Your armatures are most likely worn out. It’s also possible that the shafts are bent, which is causing them to vibrate inside their housings. This issue can go from bad to worse rather quickly. If you’re noticing the vibration is coming from the actual opener above you, take action immediately. It could eventually shake loose from the mount and fall down onto you, your family, or your car. In any case, you’re more than likely going to have to replace expensive parts, so you may be best off buying a new unit. But, before you start shopping for a new door, have it examined by a professional. If they can’t fix it, they can let you know exactly what you will need for a new door or system. That’s why we service garage doors in Toronto and offer 24/7 repair services. We’re here when you need us. Maybe the unit is just louder than it used to be and you have started hearing an unsettling clicking, banging or rubbing noise. You may want to look at upgrading to a new door that doesn’t annoy your neighbours or wake your kids. Older models with a chain mechanism are never quiet to begin with and they’re going to get louder as the parts age, whereas today’s chain drive electric openers and belt drive electric openers are remarkably smooth and quiet. If you have a relatively new model that is making new or louder noises, this is more of a cause for concern. That may mean that something is failing or about to fail. You should have it looked at ASAP, particularly if it’s still under warranty. 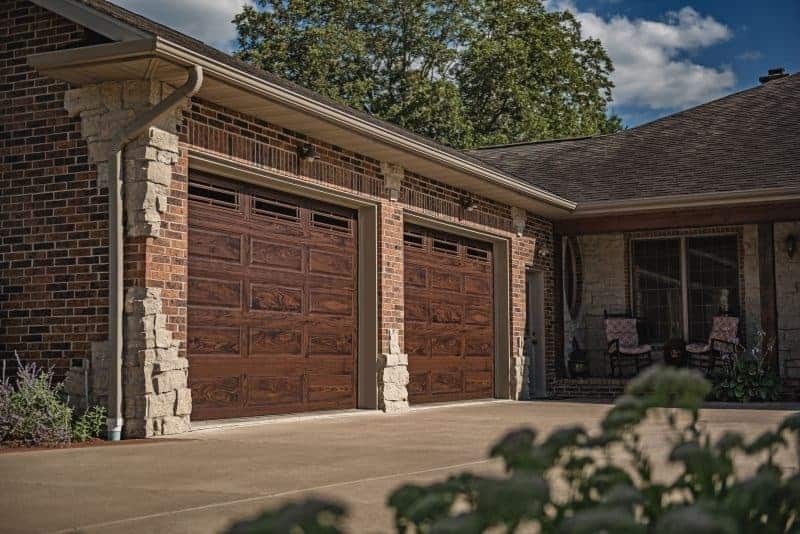 You can quickly find yourself annoyed if your garage door won’t close as it starts its descent, but reverses itself and goes back up before closing. If your garage door won’t close, it’s more than an inconvenience, it’s a security problem. You probably store expensive tools or sporting goods in your garage and if the garage door won’t close, they’re no longer secure. Also, if your door is stuck open in the winter, your home’s furnace is going to have to work harder to heat the rooms near the garage. This can get expensive in a hurry. In most scenarios, this is an issue with the safety sensor at the bottom. Something is likely tripping it and causing it to think something is in its path. Cleaning the eye of the sensor with a paper towel or a soft cloth. If this doesn’t work, your sensor is probably misaligned. You should consult your garage door manual or call in a professional to look at things. You most likely don’t need to replace the unit. This one is possibly the most frustrating issue. Sometimes it works, sometimes it does not, with no clear reason or pattern. However, you may find that it seems to fail more when you’re in a hurry to get somewhere. This could be any number of things. The easiest (and least expensive) cause is a low battery in the garage door’s remote control. Always start your troubleshooting there. If a fresh set of batteries doesn’t fix things, you could be looking at a wiring issue or a problem with the opener’s logic board. You should call in a professional to come take a look at things. This could be a very simple fix. However, if you have an older model, you may find this issue repeating itself, even after it’s fixed. An upgrade now may save you a lot of frustration later. You may have bought an older home with an older door that wasn’t built with safety in mind. If the door was installed before 1993, it may not have the sensor at the bottom to prevent it from closing when something is in its path. If you have kids or pets, you should address this immediately. You may also feel unsafe with an older unit after reading about the recent rise in thieves gaining access to the home through garage door remotes. If you upgrade to a newer unit, you can control things with your smartphone instead of a remote. You can also get notifications any time the door opens or closes. Our reputation and customer service has made us the go-to choice in the Toronto area for garage door service and repairs. We’ve been the #1 rated garage door company in the GTA for over 60 years. Do you think it may be time for a new door? Feel free to click the chat window at the bottom of the screen, or call us at 1-877-503-6337.